3 Auto Expos in a row with TATA Motors for Runtime Solutions at the Delhi Auto Expo. Starting from a fledgling team in 2014, braving numerous odds, technical challenges, killer deadlines and the bitter cold of Greater Noida, armed only with a dream and a burning desire to make a difference, we made it for the 3rd year in succession at this biennial event. It gave us a platform to shine and spread our wings and fly higher. 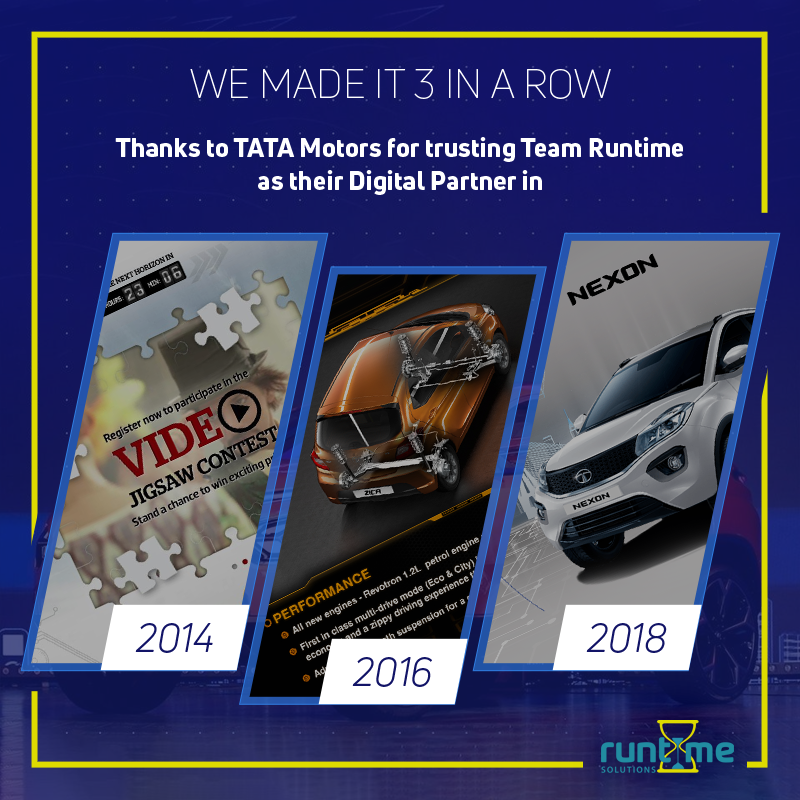 The Auto Expo date also coincides with the Runtime anniversary making it a double celebration and giving us a platform to renew our commitment to quality, innovation and pushing the boundaries.